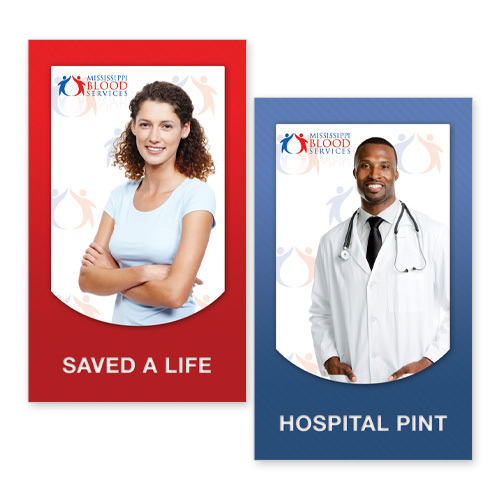 Mississippi Blood Services is a not-for-profit blood service. Their mission is to provide a safe and adequate supply of voluntarily donated blood and blood components for patients in hospitals and to offer related services to our hospitals and other medical facilities. 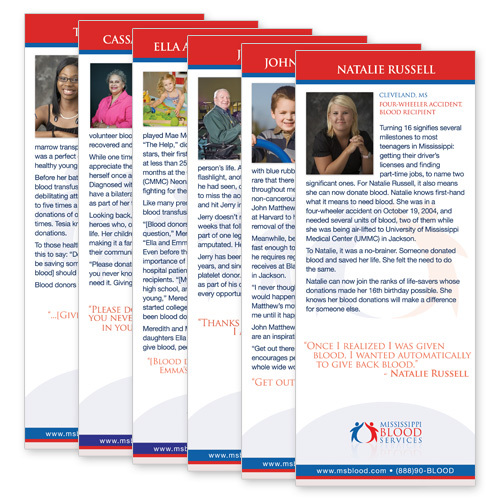 Think Webstore designed rack cards and appointment cards for MSBS.